We offer a broad range of qualitative Plain & Printed Drum Cap Seals, which is used in various industries such as, oil, lube, chemical, pharmaceutical industries and many more . 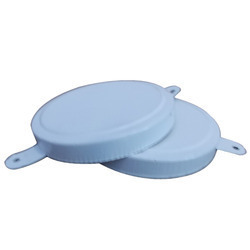 We offer these Drum Cap Seals in size 50 mm and 20 mm also widely known as 2" & 3/4". We also offer customized solutions to our respected clients in order to cater their requirements. Our product is made from finest quality Tin Free Steel & Plastic in order to achieve the best crimping / sealing results. Packaging Details: poly bags transparent , type, covered with corrugated box. 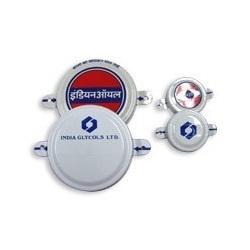 With our expertise in this domain, we are able to offer a superior quality range of drum cap seals to our prestigious clients. We offer a broad range of qualitative Drum Capseals - Printed, which is used in various industries such as, oil, lube, chemical, pharmaceutical industries and many more . We offer these Printed Drum Cap Seals in size 50 mm and 20 mm also widely known as 2" & 3/4". We also offer customized solutions for our respected clients in order to cater their requirements. Our product is made from finest quality of 'Tin free steel & Plastisol' in order to achieve the best crimping / sealing results. Packaging Details: Poly bags transparent type, covered by corrugated box. Looking for Drum Capseals ?